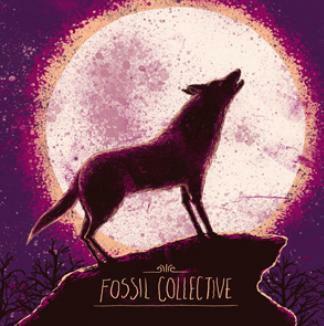 Hailing from the wilds of Leeds, West Yorkshire, multi-instrumentalist duo Fossil Collective will be making their way to the South Coast in 2013 to captivate and beguile in equal measure. As spring gets underway and thoughts turn towards summer, the Fossil Collective boys will be embarking on a 20 day tour, bringing their ethereal, string-driven sounds to Bournemouth's Sixty Million Postcards on April 19th. Fans of gentle acoustic folk in the vein of early Iron & Wine, Bon Iver and Fionn Regan cannot fail to fall under the spell of Fossil Collective, who have been peddling their rich, pastoral songsmithery for several years now. Their music, which has gained attention recently after their animated music video for Let It Go won an award at the Aesthetica Magazine Short Film Festival, is sure to find the perfect home within the walls of Sixty Million Postcards. For the uninitiated, Sixty Million Postcards, on Exeter Road, is amongst the most charming and individual bars in Bournemouth. With an admirable commitment to great food, great music and great beer, the bar boasts one of the best atmospheres on the South Coast. With a spine-tingling soundtrack like the one that will be provided by Fossil Collective, expect that atmosphere to be enhanced still further. Don't miss out. Why? Beautiful and beguiling music in a charming setting.